Barbara Buckley is currently the Executive Director of Legal Aid of Southern Nevada. Ms. Buckley is a proud graduate of UNLV, earning her bachelor’s degree in Criminal Justice in 1986. 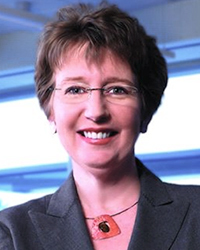 Ms. Buckley continued her education at the University of Arizona where she earned her Juris Doctorate in 1989. Ms. Buckley was a member of the Nevada State Assembly from 2001-2007 and became the first female Speaker of the Assembly in 2007. She held this position until 2010. 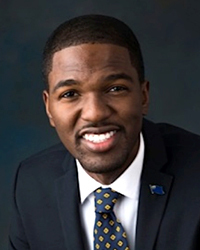 Devron Brown is the Leadership Staff Assistant for United States Senate Majority Leader Harry Reid (D-NV). He has been a part of Harry Reid’s congressional staff since January 2012. He currently works and lives in Washington, D.C. Devron was born and raised in Las Vegas, NV and graduated from the University of Nevada, Las Vegas in 2012 with a Bachelor’s degree in Criminal Justice and a minor in Political Science. Assemblyman Horne graduated with a bachelor’s degree in criminal justice, with recognition for scholarship from UNLV President Carol Harter and the Phi Kappa Phi Honor Society. At UNLV he was president of Phi Alpha Delta, the International Law Fraternity. Today, he serves on the Advisory Committee for the Greenspun College of Urban Affairs at UNLV. He attended the UNLV Boyd School of Law and graduated in 2001. 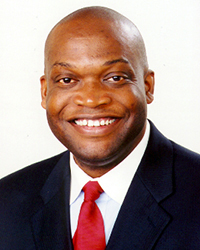 First elected in 2002, Assemblyman Horne was named the Outstanding Freshman Assemblyman in the 2003 legislative session. In 2005, the next legislative session, Assemblyman Horne was again recognized for his hard work and effectiveness and was named one of the top five most effective legislators in the Assembly. Magann Jordan is currently the Victim/Witness Program Administrator for the Clark County District Attorney’s Office. She is highly honored to have recently earned this role in the community. She was previously the Director of the Youth Advocate Programs, Inc. in which she was passionate about providing community resources to at-risk juveniles that were on probation. She was born in a small town called West Carrollton near Dayton, Ohio and later moved to Las Vegas. She graduated first with a Bachelor’s Degree in Criminal Justice in 2003 and then with the Master’s Degree in 2005. 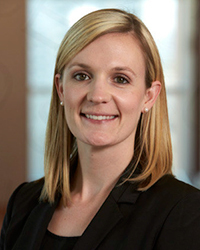 Hilary Heap currently serves as the Deputy District Attorney in the Criminal Division of the Clark County District Attorney’s office. 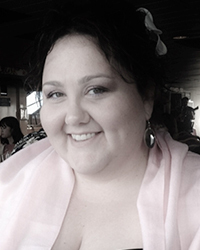 Originally from Pittsfield, Maine, Hilary has lived in Las Vegas since the summer of 2005. Hilary graduated from UNLV in 2008 receiving the Jay Hahn Law Enforcement Scholarship in 2007 and the Edwin Sutherland Award in 2008. She graduated from UNLV Boyd Law School in 2011. Hilary has been working with the DA’s office for two years now and hopes to continue to serve the community as a District Attorney into the future. Gregory M. Smith, '86 BA and '98 MA Criminal Justice, retired from public service in August, having served 21 years with the Nevada attorney general's office and four years with the Clark County district attorney's office. He is the father of Mark G. Smith, '16 BA Criminal Justice. David Deuel, ’90 BA Criminal Justice, retired in 2011 after 20 years with the Nevada department of public safety. He says he had outstanding coworkers and also met a number of interesting individuals during his career as a parole and probation officer. He and his wife relocated to northern Michigan after his retirement. They enjoy the four seasons and not being able to even see a neighbor’s house from their own. Their black lab, Bella, keeps them busy as she loves the snow, the lakes, hiking, and chasing tennis balls. They live in Indian River. Kirk Cresto, '88 BS Accounting, became director of corporate insurance at NiSource and vice president and board member for NiSource Insurance Company (NICI), a pure captive insurance company of the parent NiSource, in 2015. NiSource is one of the largest fully regulated utility companies in the United States, serving nearly 4 million customers across seven states. Before that, Cresto held various positions of responsibility at NextEra Energy in Juno Beach, Florida, and at NVEnergy. This May he graduated from the Fisher College of Business at Ohio State University with his executive MBA. He holds the RIMS-CRMP designation from the Risk Management Society (RIMS) as a certified risk management professional. While at UNLV he became a commissioned officer in the U.S. Army through the university's Army ROTC program. All of his sons, including Bryce Cresto, '09 BA Criminal Justice, '10 BS Public Administration, and '15 MBA, also have served or still are serving in the Army. His hobbies include exercise, triathlons/duathlons, cycling, running, attending sporting events, and traveling. He lives in Columbus, Ohio. Paula Avery, '92 BS Hotel Administration, works in human resources for a construction company. Previously, she worked in the Las Vegas hospitality industry for 15 years with companies such as Binions Gaming, Sam's Town, New York-New York, and MGM/Mirage during its merger. Her son, Zachary Avery, is a criminal justice major at UNLV. She lives in Henderson.